Thank you for the lovely digi prize from Linda. I've not yet had the opportunity to print off my images, but definitely on my "to do" list. 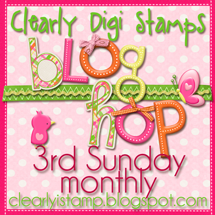 Thank you for the nice blog hop and the wonderful inspiration that everyone provided. The DT did a top notch, out of the ball park job! Kudos to all of you. How wonderful, thank you for the win. That made my day! How do I claim my prize? Please let me know. Thanks.